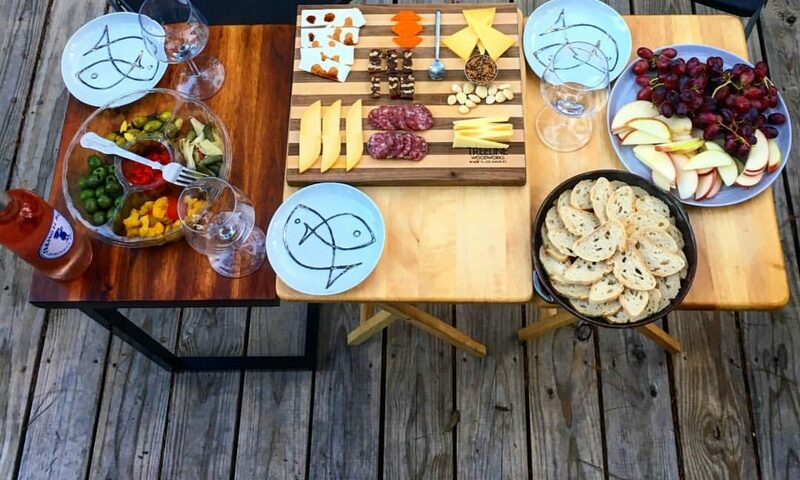 The inspiration for this recipe came from a text message from my friend Joshua. He came across a bar of white chocolate flavored with key lime and Bolivian Rose sea salt and challenged me to incorporate it into a cupcake with tequila. I accepted his challenge. 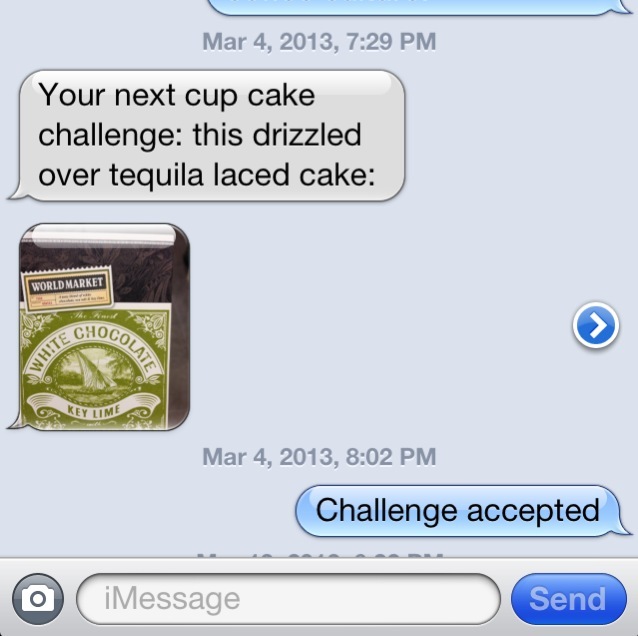 Tequila laced cake? Yes please. I opted for white cake with a hint of lime and tequila. Preheat an over to 350 degrees and line a muffin pan with paper baking cups. 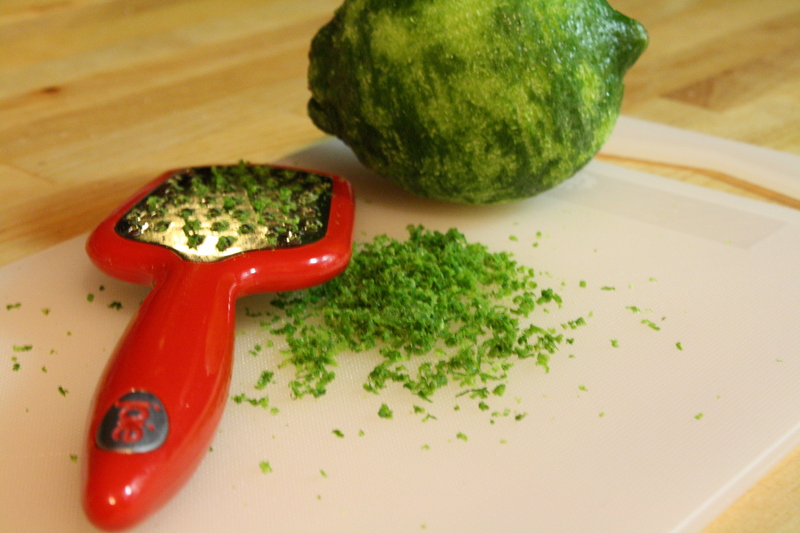 In a mixing bowl, combine the flour, baking powder, lime zest, and salt. 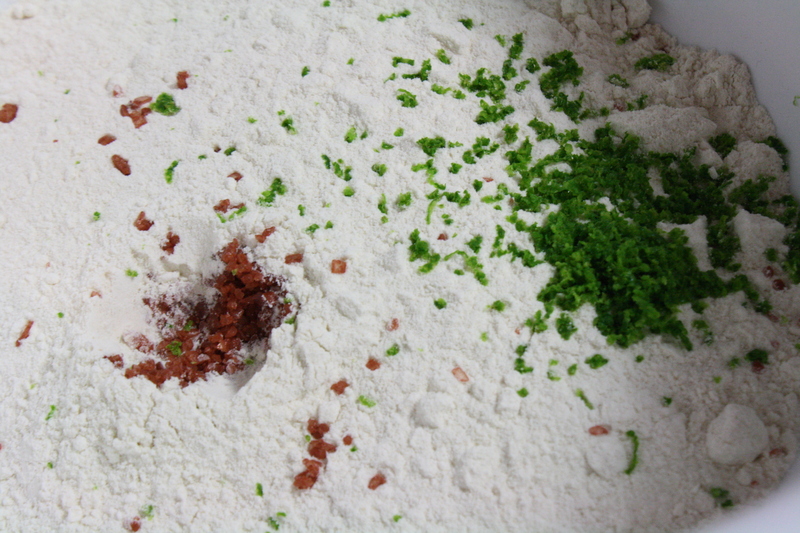 The red salt and the bright green lime zest add a bit of color to the dry ingredients. In a separate mixing bowl, cream together the sugar and the softened butter. Beat in the eggs, one at a time. Mix the dry ingredients in slowly, then add the milk. 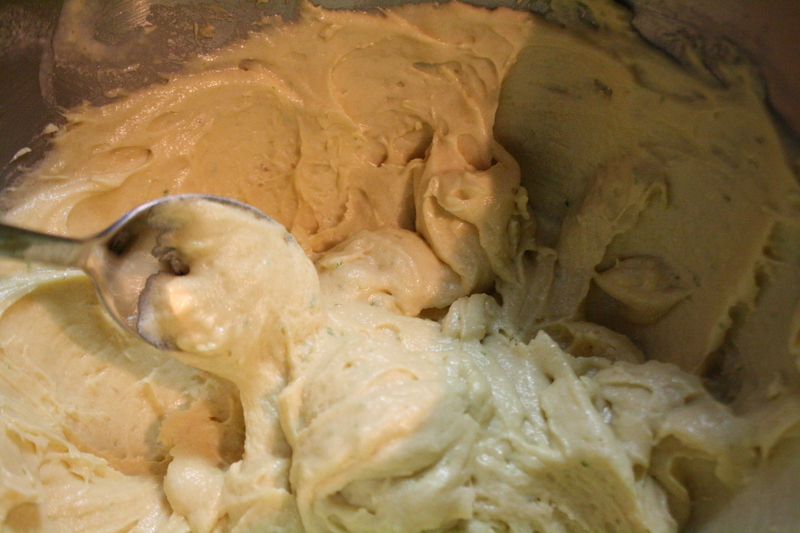 Mix until the batter is a uniform consistency. The batter will be thick. Fill the baking cups up about 3/4 of the way full. The recipe should make about a dozen cupcakes. Bake the cupcakes for 22 to 25 minutes, or until the cakes are a light golden color. Remove the cupcakes from the oven and let them cool to about room temperature. 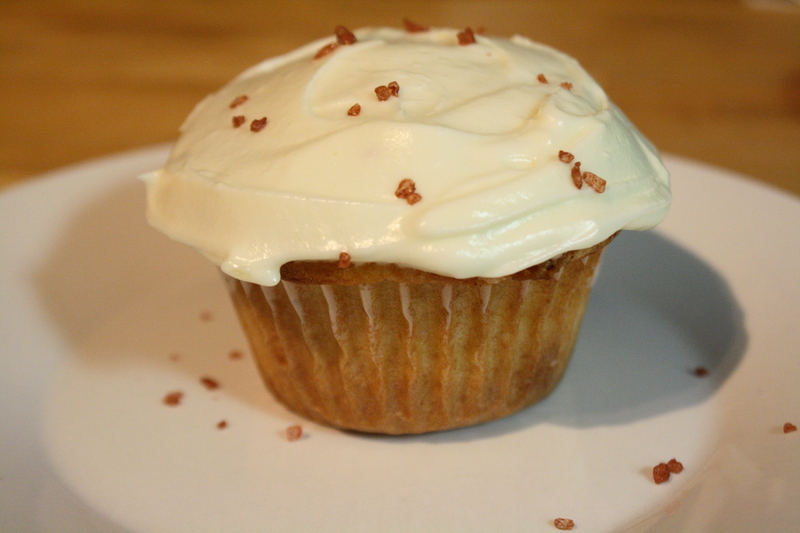 Once cool, use a toothpick to poke small holes into the top of each cupcake. 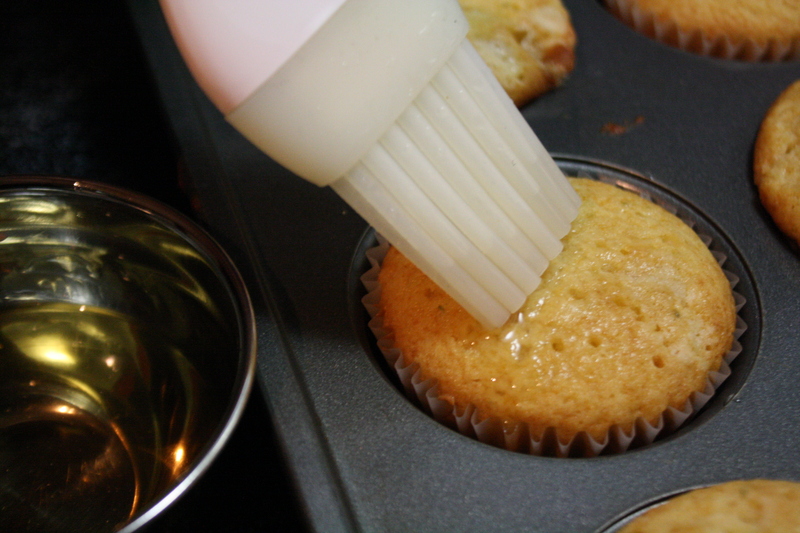 With a pastry brush, brush each cupcake with tequila. An ounce of tequila was enough for all of the cupcakes. When the tequila has soaked into the cupcakes (and the tops are no longer wet), frost the cupcakes with the white chocolate frosting (recipe below). Using a double boiler or a small glass bowl set over a small pot of gently boiling water, slowly melt the white chocolate. 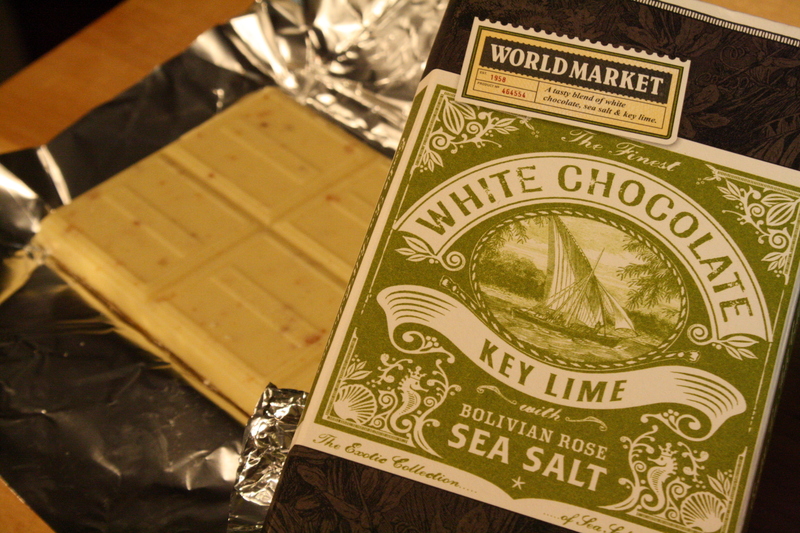 Stir continually to avoid scorching the white chocolate. Once the white chocolate has melted, remove from heat and stir in the tequila. Let the melted chocolate cool to room temperature. 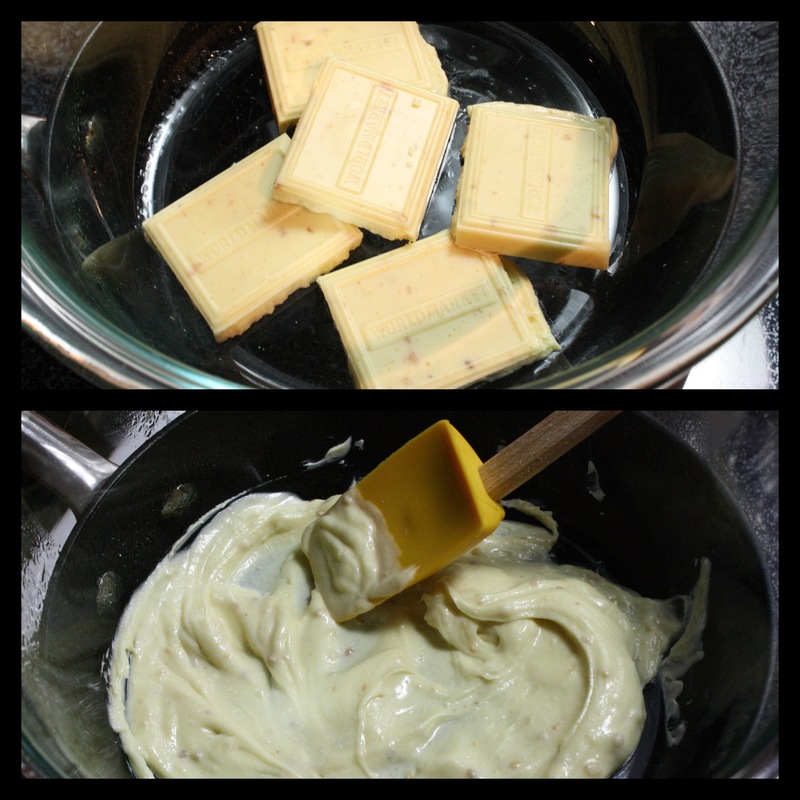 In a mixing bowl, beat together the softened cream cheese and the softened butter. Mix in the melted chocolate. Slowly mix in the sifted confectioners sugar. Whip until the sugar is incorporated into the frosting. Top each cupcake with the white chocolate frosting. Garnish with a little Hawaiian red salt. These cupcakes reflect my favorite elements of a margarita — the salt, the lime, and the bite from the tequila. Unlike the cheap, happy hour margaritas from many Mexican themed restaurants, these cupcakes are not syrupy sweet. The margarita flavors are subtle and the salt balances out the sweetness of the frosting. Of course, if you want the added sweetness, just add another spoonful of frosting to the cupcake. Or eat the frosting straight out of the bowl. Thanks! If you make them, let me know how they turn out.